If you are planning to have a stall or event on University property, you might need to obtain a permit. For TUU-affiliated stall bookings, fill out the TUU stall booking form on the TUU site. For all other groups, please use the Stall booking form (PDF 162.9KB). For conditions of stall bookings, see page 2 of the stall booking form. In accordance with University by-laws, a person shall not distribute or consume any liquor on University land except where a licence or permit has been obtained under the Liquor and Accommodation Act 1990, or where a liquor permit has been obtained from Infrastructure Service and Development (see liquor permit application details below). For TUU-affiliated clubs and societies: go to the TUU liquor permit application page. Step 2: Then apply for a University liquor permit via the liquor permit application form (PDF 48.5KB) (attach the above special liquor permit if alcohol is to be sold at the event). Liquor permits will not be approved for functions which may disrupt the teaching and research activities of the University, or which may in any way embarrass the University. The liquor permit may be altered or revoked at any time by the University. The liquor permit application (PDF 48.5KB) has been completed, sent to Infrastructure Services and Development, and signed by the Executive Director, Infrastructure Services and Development (or delegate) prior to the function. There is a responsible person present at the event who will be able to exercise personal effective control of the consumption (and sale if applicable) of liquor on the premises of which the permit is sought. The serving of liquor ceases at the specified time and consumption of liquor ceases not longer than 30 minutes after that time. The premises used for the function are vacated within 1 hour of the expiration of the time limit for serving liquor. This facility on the Newnham campus is available for staff and student bookings. See Pop-up shop page for information about booking this facility. 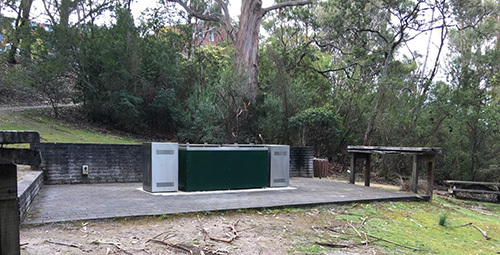 The Hytten Hall barbecue site is in a bush setting near Hytten Hall on the Sandy Bay campus. The site includes a gas-fired barbecue, and seating and tables for approximately 60 people. This facility is available for use by University staff, affiliated student clubs and societies, and other approved applicants. The site includes a power outlet that is activated for booked events. Please view the Hytten Hall Barbecue Booking and Indemnity Form (PDF 38.5KB) for information on booking and conditions of use. For information on how to make your event more environmentally friendly, see the Tasmanian Sustainable Events Guidelines (PDF 118.1KB).